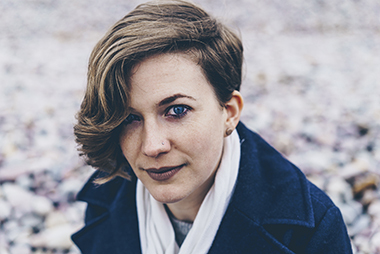 “Making some very big waves…I think she has an amazing voice, and writes some truly interesting songs” - Mike Harding Kirsty Merryn is one of the most arresting and unconventional new young singer songwriters on the UK folk roots scene, with a style uniquely her own. Beguiling and mercurial, Kirsty’s music is heavily anchored in the folk tradition with jazz and classical backwaters. But it has a much wider reach, with her influences ranging from Cara Dillon to Joni Mitchell and Kate Bush - emphatic piano-based songs with sharply observed lyrics, packaged with panache in elegant, beautifully balanced settings and delivered in crystal clear, assured vocals. Kirsty has been championed by Show of Hands’ frontman Steve Knightley and she went on to open for Show of Hands at their headline appearance at Sidmouth Folk Week in 2016.